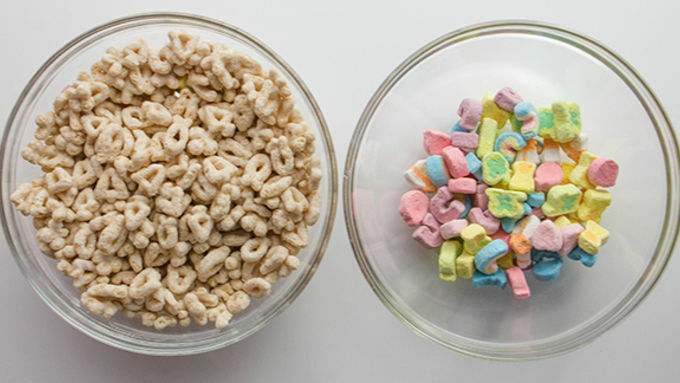 Separate the marshmallows from the Lucky Charms™ cereal. 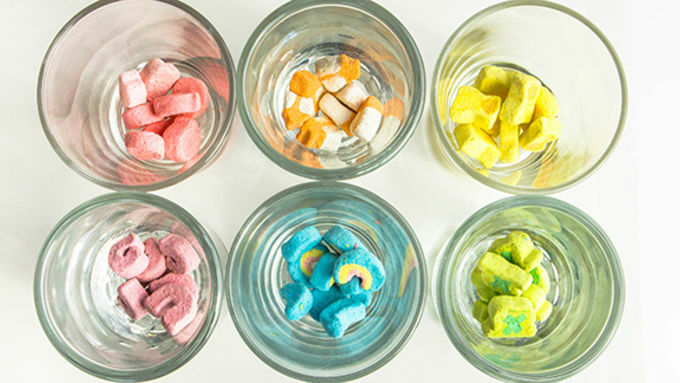 Place 6 Lucky Charms™ marshmallows of the same color in each of 6 shot glasses. Pink marshmallows in one shot glass, yellow in another, and so on. Pour one ounce of vodka into each shot glass. Let the marshmallows dissolve. 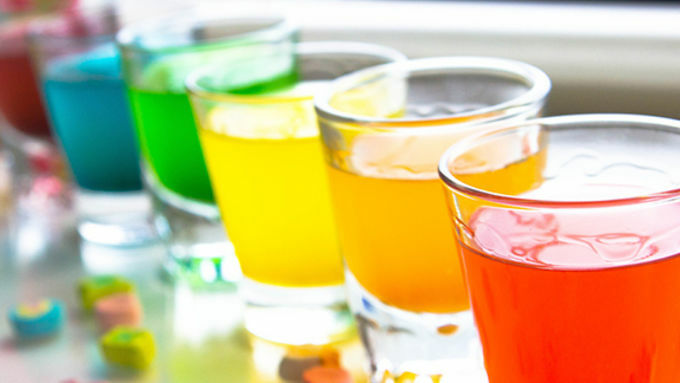 Serve as vodka shots or mix into your favorite sweet martini recipe! 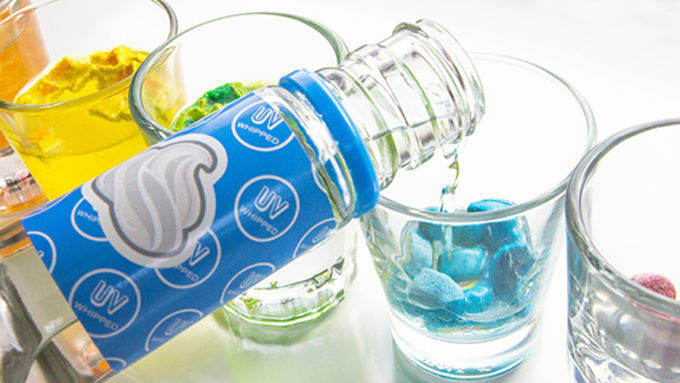 If you think green beer is THE drink of St. Patty's Day, let me introduce you to Lucky Charms Rainbow Vodka. You'll never go back! I have a foodie friend who decided it was time for him to master the art of infusing his own vodka. The mere idea of this makes my knees crack. Who, in these crazybusy days of American life, has time to INFUSE THEIR OWN VODKA?! Lucky you. You do. 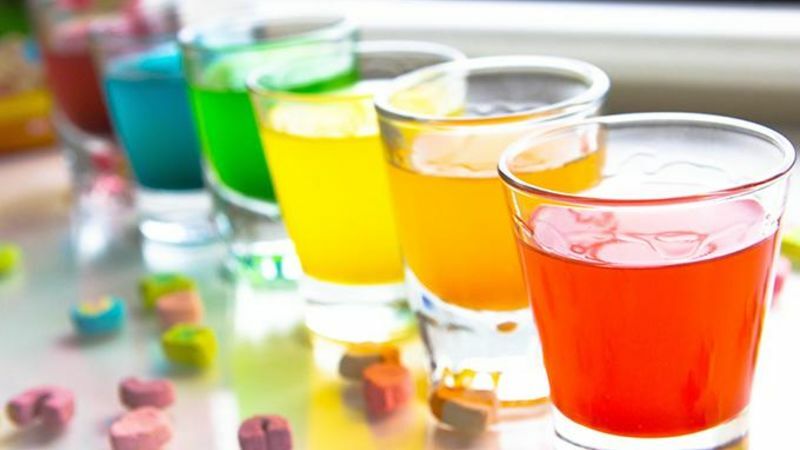 Because you can quickly and easily infuse flavored vodka, turning it into six gorgeous rainbow-colored shots in exactly 30 seconds. Quick, tasty, and so fun for St. Patty’s Day. Friends and neighbors will be clamoring to be your friend and neighbor! The secret? Lucky Charms marshmallows. You’re not gonna believe how simple-adorable this idea is! It’s a charmed life. Let’s infuse vodka! Dubious that two crazy ingredient combos can produce super yummy and color-filled results in seconds? Trust me. You’ll have a whole lotta delicious vodka shots. One to sip and five to share! Plus also, you get to claim the title of Hipster Homemade Vodka Infuser. You’re just fly like that. Lucky purple horseshoes 4eva.